Race Co Cycles UK is a sole trader based in the West Midlands. Started back in February 2002 by a former schoolboy and adult British motocross racer Paul Tett. After a successful motocross career Paul turned to his love of bicycles to take the next step in becoming a successful bike store, retailing high end bikes from some of the best brands in the cycle industry. After a successful three and a half years trading in the small Wolverhampton store, it was a time for a premises growth and a relocation which brought Race Co Cycles UK closer to the roots of Paul's home in Stourbridge. A further three and a half years trading from the new location saw the business expand, with the shop next door becoming vacant Paul decided to take the business up another gear and move in to a much larger premises. After a few more years of successful business growth, it was this point that both Paul's dad (Malcolm) and Paul's life long best friend (Ric) were now a key part to the business growth and came on board to help run the workshop and manage areas of the store along with chad running the online website along with the shipping and logistics. After almost eight years it was decided the business had now outgrown the market street store and our customers needed better access with parking to make their experience at Race Co a more pleasurable experience. In November 2016 Race Co moved premises to a modern purpose designed building more suitable for our customers needs and fresh new displays. We now hold over 250 bikes on display and a further 150 bikes in stock meaning our customers can have better availability on bikes and been able to view lots more models. 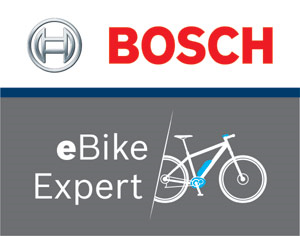 Race co Cycles UK are now one of only 10 stores in the UK to become a Bosch e-bike expert and centre of excellence, this meaning we offer the latest upgrades in Bosch diagnostics, keep all spare parts for Bosch e-bikes in stock and have in 1store demo bikes for new riders to test ride. "This the only bike shop if you want great service, great prices and the best help"
"I would highly recommend Race Co. It's 1st class service! I dealt with Paul and his knowledge about e bikes was fantastic, I was originally enquiring about buying one bike and ended up buying two - so delighted with them too! They are the Cube Reaction e bikes and they are fab! Highly recommend!" "Top bike shop! Excellent products with excellent customer service. Highly recommend Race Co!"